This model is 13.5cm high.The European Space Agency (ESA) may not be as well known as NASA, but it also maintains an active space program. 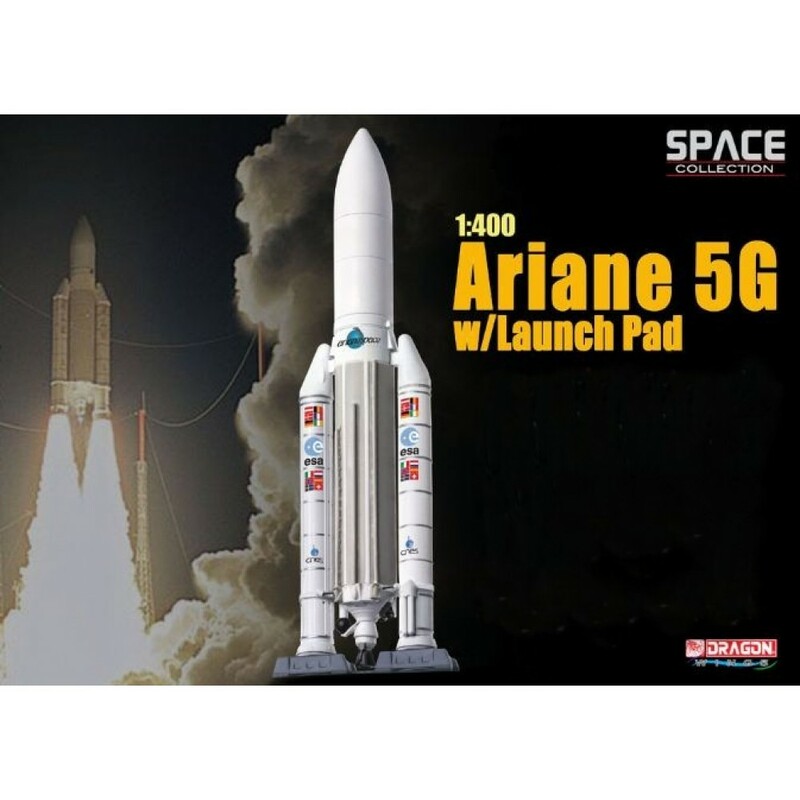 The primary space Rocket it uses is the Ariane 5, which is produced by prime contractor Astrium, a company belonging to EADS. 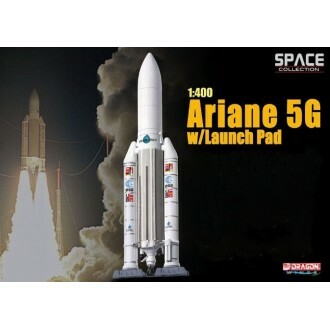 The Ariane 5 workhorse is an extendable launch system that can deliver payloads into geostationary or low Earth orbits. 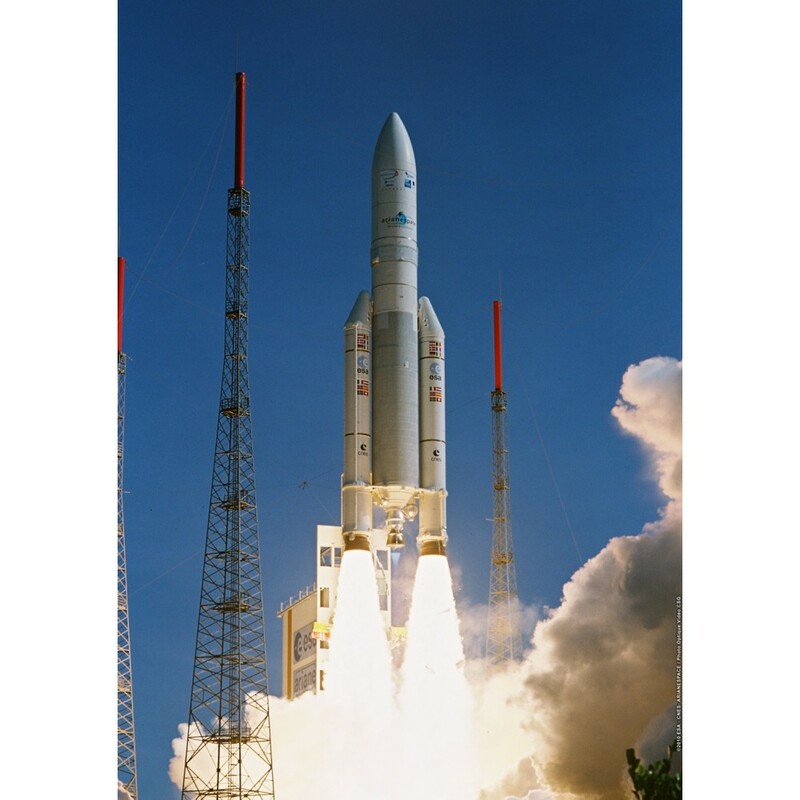 Three major satellites can be launched simultaneously, and up to eight secondary payloads can be carried too. 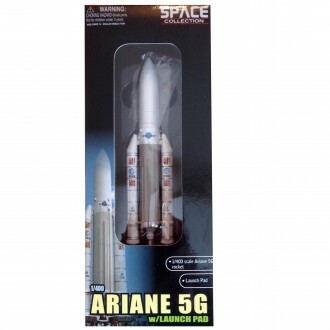 Dragon Space models are true-to-scale, displayable spacecraft with high collectible value. They are aesthetically pleasing with a detailed colour finish and delicate imprinted markings.